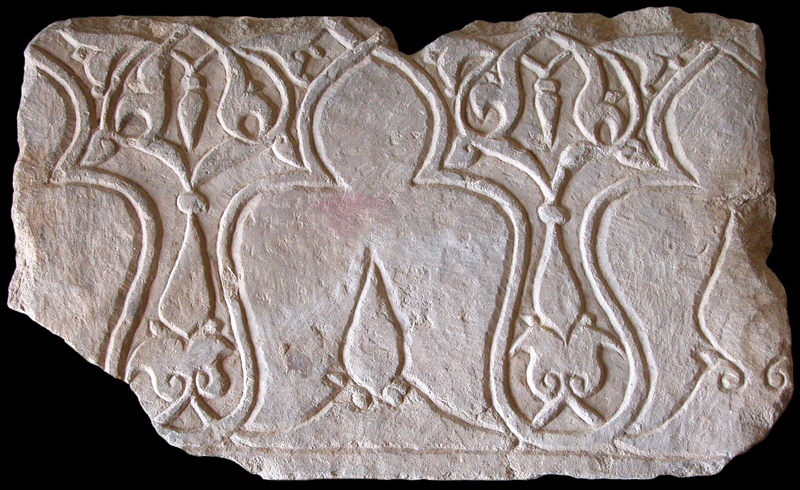 Dado carved in bas-relief (type 5c). The decoration is composed of one section with a sequence of interlaced trilobated arches alternating with vertical motifs created by split-palmettes and fleur-de-lis. The arches enclose an incised vegetal motif. The height of the only panel with known dimensions is 33 cm, its width 50 cm; its thickness is unknown. 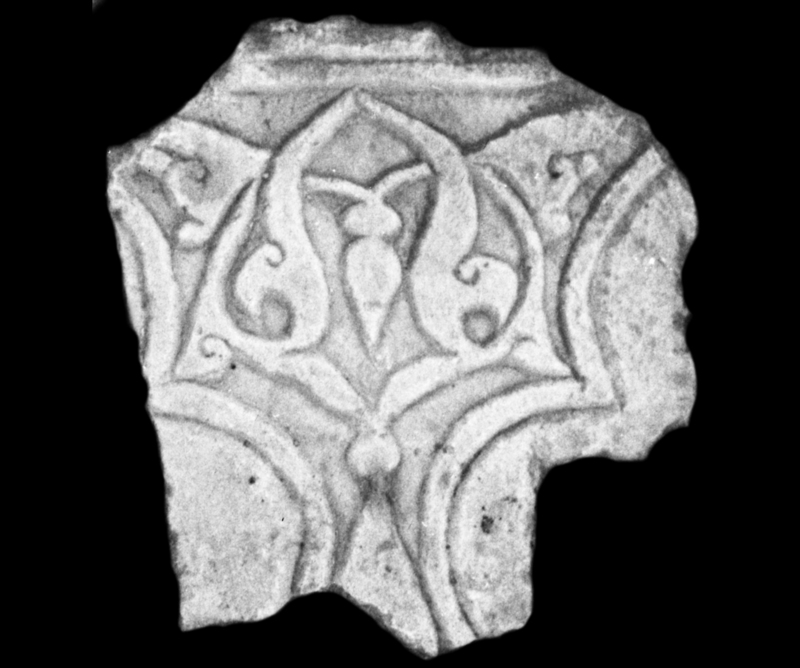 Most of the artifacts were found re-employed in the Ghazni area (the surveys occurred in the late 1950s-1970s). One artifact was first recorded in the Kabul National Museum storeroom in 2004; it came from Ghazni. 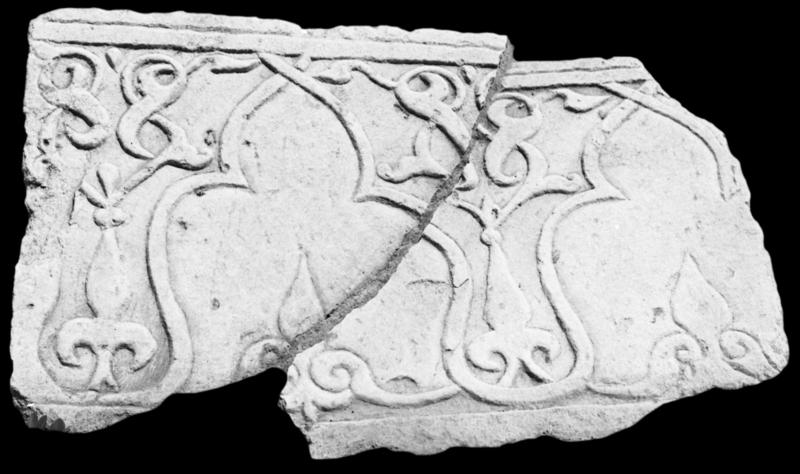 This type might have been used as an architectural dado or as a tomb paneling. It differs from dadoes types 5a, 5b and 5d for the vegetal motifs.